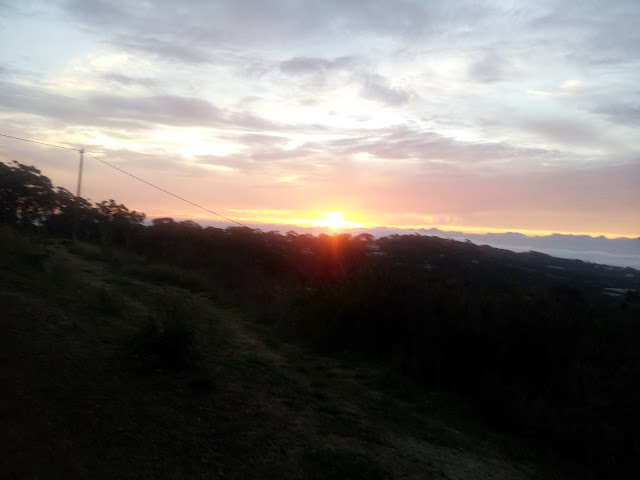 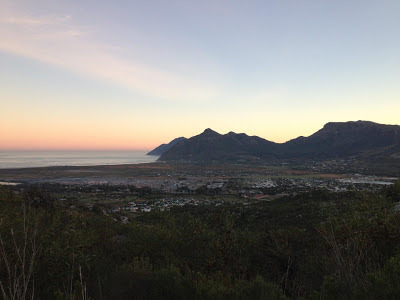 16 turned out as the sun was rising over a brilliant Cape winter morning. 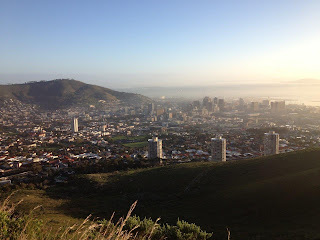 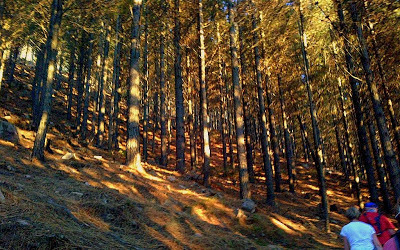 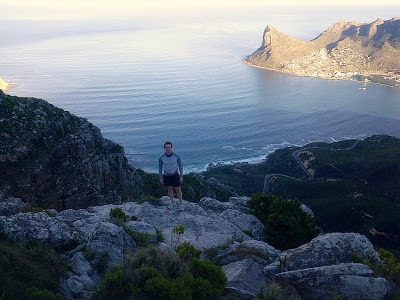 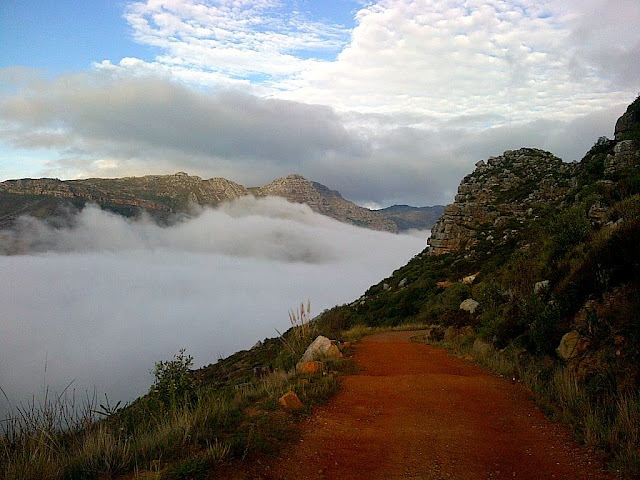 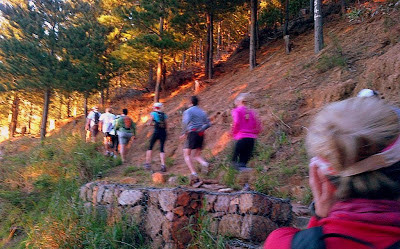 This was to be a new route devised by the run leader Gae, which would take us along the lower slopes of the North face of Table Mountain into the Deer park below Tafelberg road. 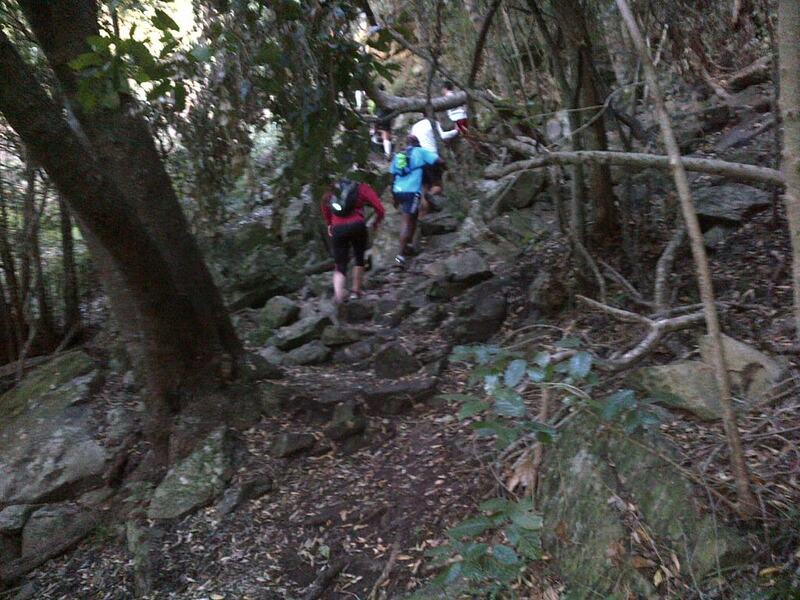 Natalie lead the way around an attractive but reasonably tough course. 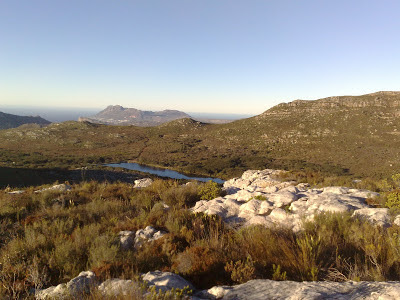 The fynbos was at its best and the views looking out of the city bowl were spectacular. 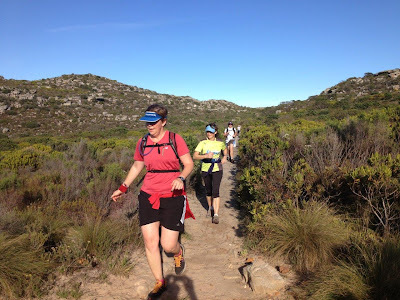 Other than one minor navigational error were the natural instinct of a trail runner to run uphill made the leaders try to get up to Tafelberg rd the run was incident free and enjoyed by all. 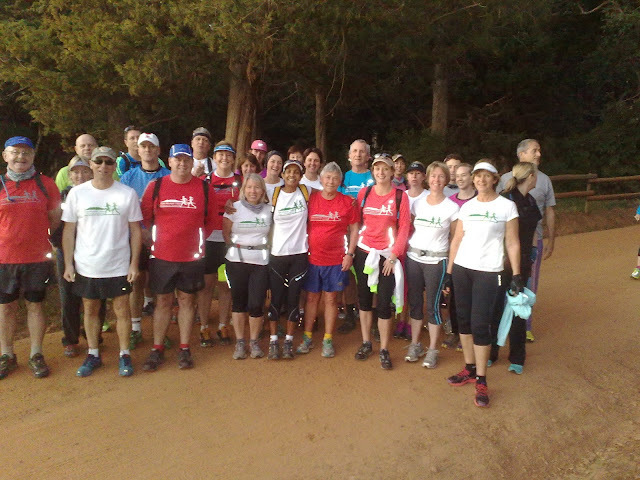 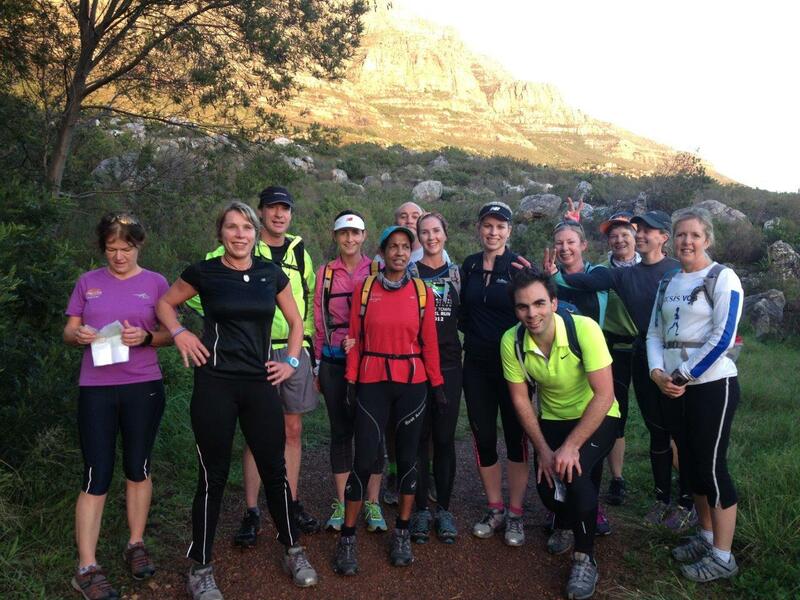 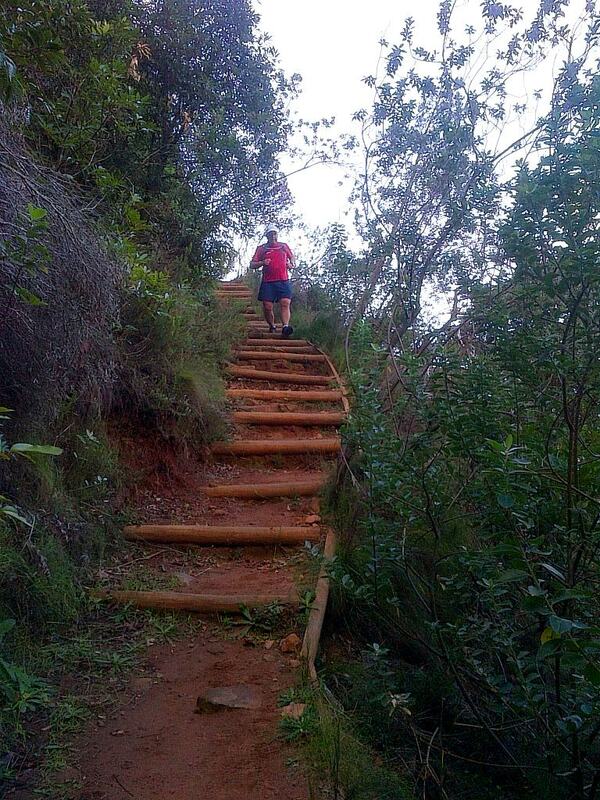 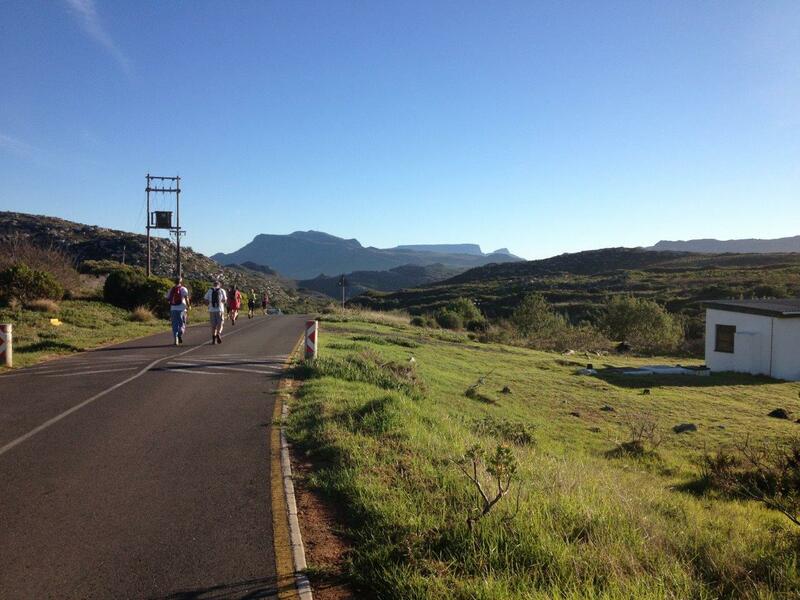 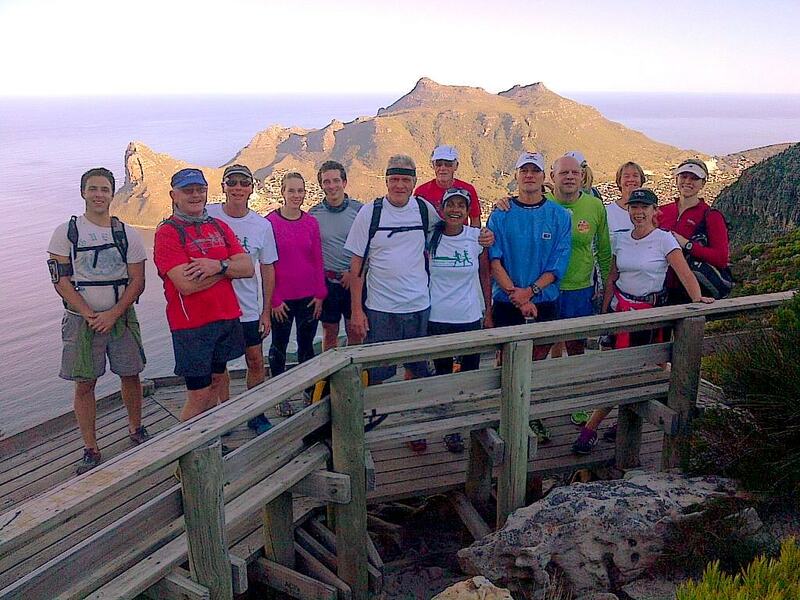 We had a great run through the Cecilia and Kirstenbosch area on Saturday. 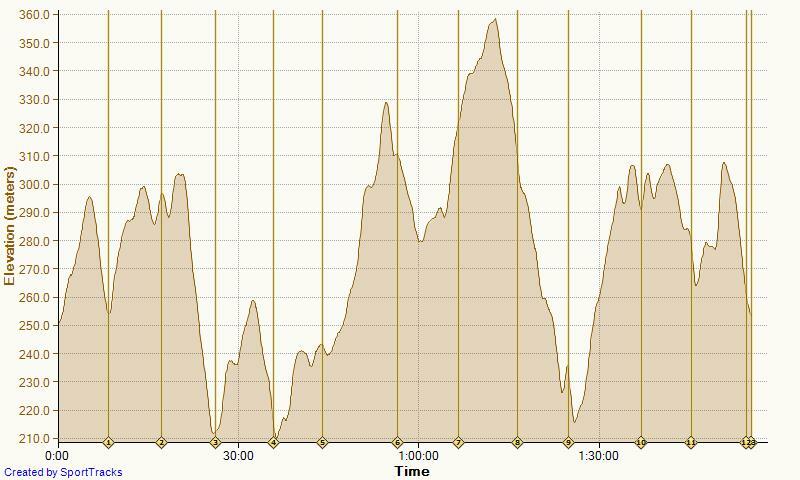 We started from Constantia Nek with an relatively easy downhill warm-up heading towards the Cecilia car park. 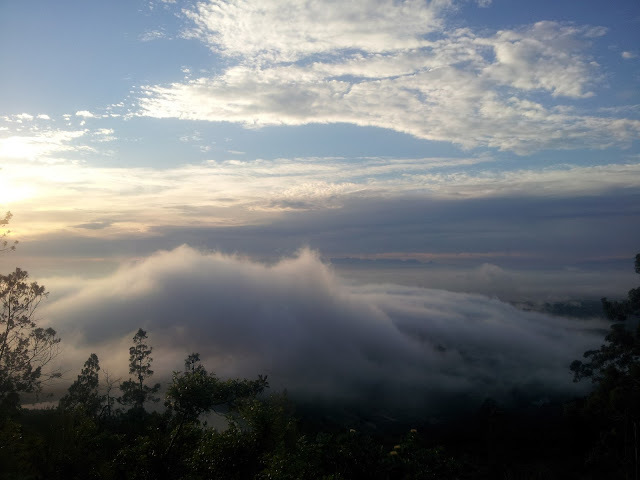 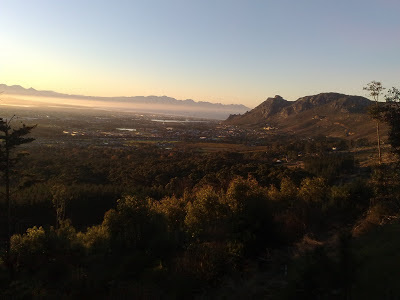 Then uphill to Kirstenbosch where we stopped to admire the sunrise over the Hottentots Mountains above the mist over the Cape Flats all the way through to Bishopscourt below us. 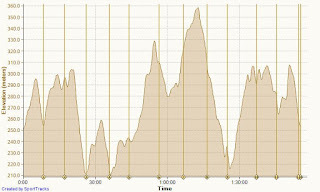 Keeping above the Dam we followed the Kirstenbosch paths to the Smuts Track and turned up the Skelton Gorge route just as far as the contour path. 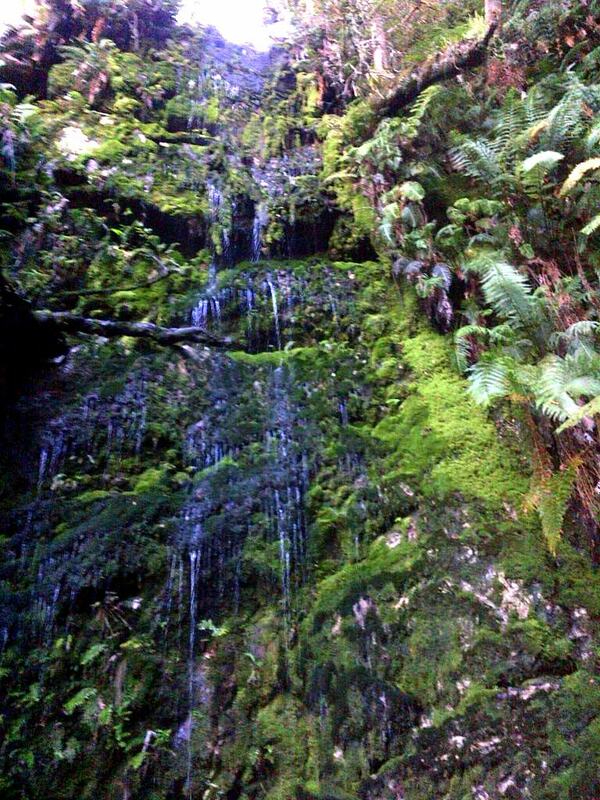 Then left past Nursery Ravine and Vaalkat Buttress. 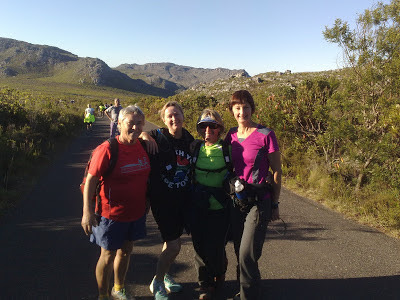 Feeling strong and in good spirits we took the steep climb up through Rooikat Ravine to the Cecilia Waterfall (part of the second stage of the Table Mountain Challenge). We arrived in slightly less good spirits, but everyone agreed it was worth it! 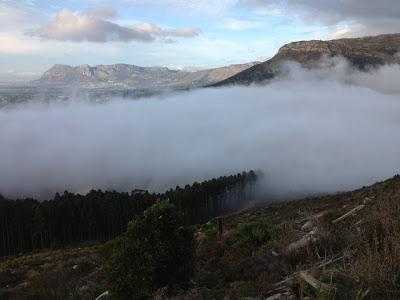 From the waterfall we headed up and over the Spilhaus Ridge to join the road from the top dams down to Constantia Nek. 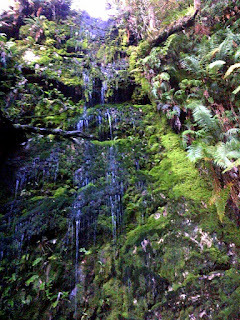 The whole route was in lovely sunshine and just as we reached the car park the mist and rain rolled in. 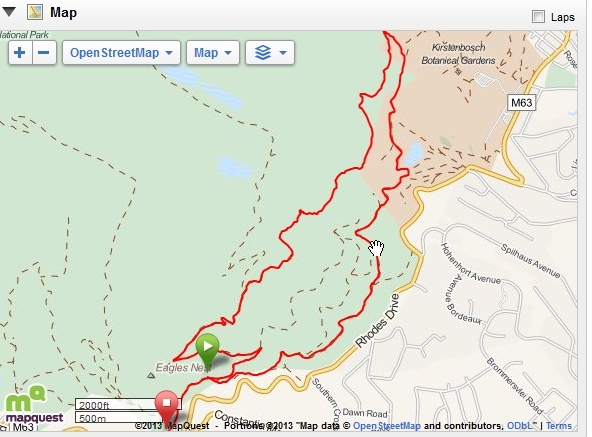 Covered about 11km in 1hr50. 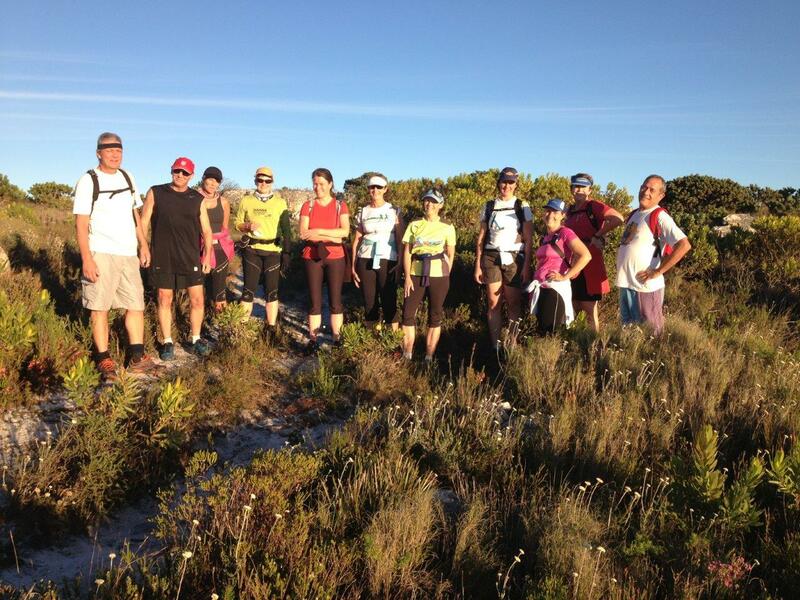 30 turned out in for our run in perfect Cape autumn weather. Thanks to Geoff who was volunteered into leading the main group a thoroughly enjoyable run was had by all. 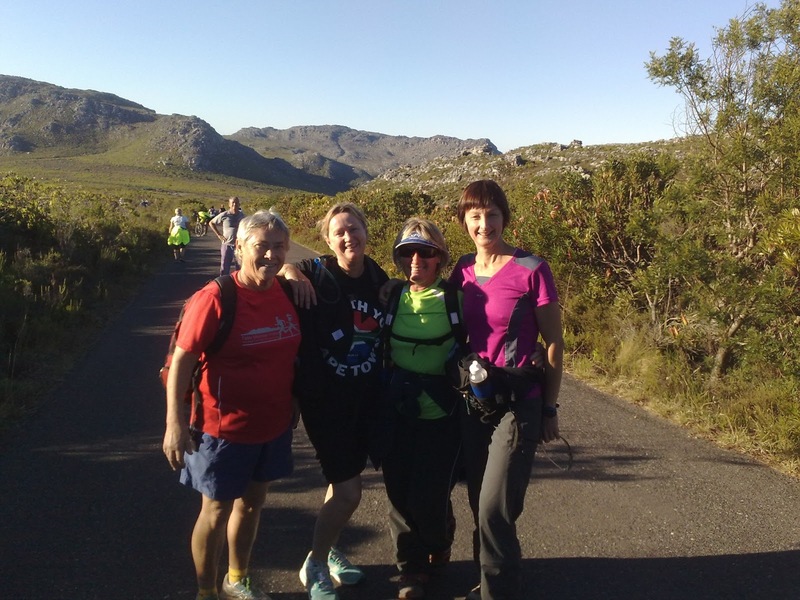 Veronica leading the Recovery Group, decided to run the route in reverse which meant we ran into both the main group and Fay's walkers as we passed somewhere in the middle of nowhere. We had 11 runners and 4 walkers arrive at Glencairn on a chilly morning this Saturday. 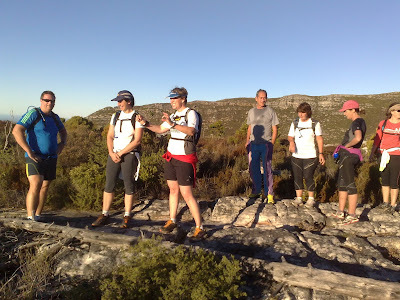 We didn’t have a recovery group and all headed off up into the mountain. We were lead by the very able Leslie Street and navigation was by the wonderful Liz Brash. 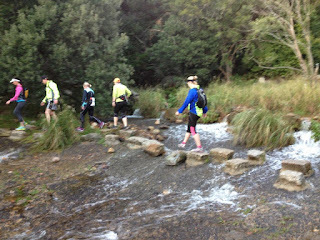 Due to her sterling efforts we didn’t get lost once! 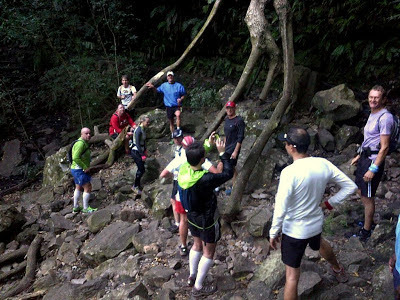 It was a beautiful day for running and the course was challenging in parts, more because of the sandy surface than any steep inclines. 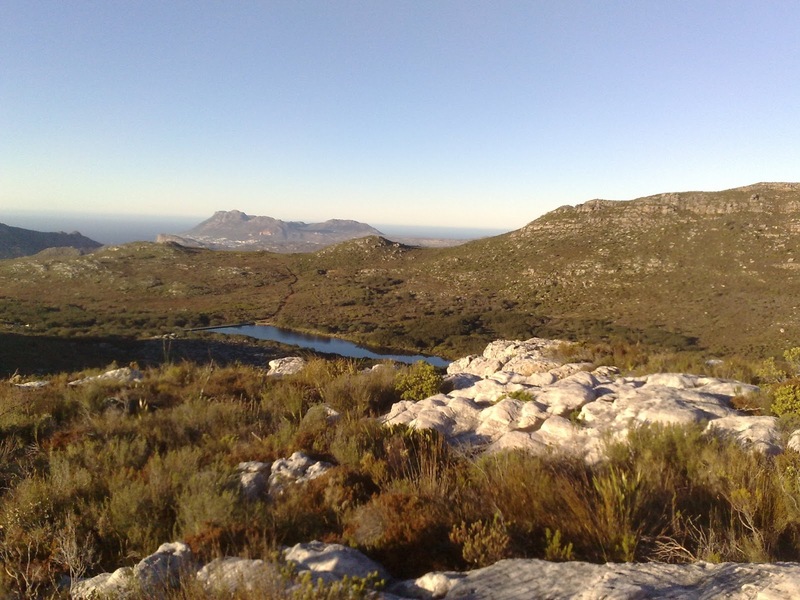 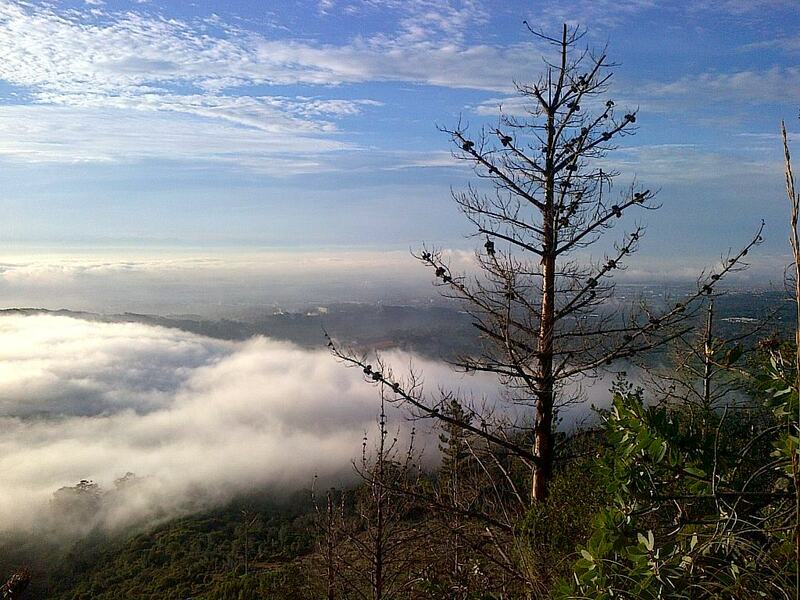 Some great views over the southern peninsula and over towards Long beach. The route was just a few metres short of 14km and we arrived back at the car park after 2hours and 18mins. 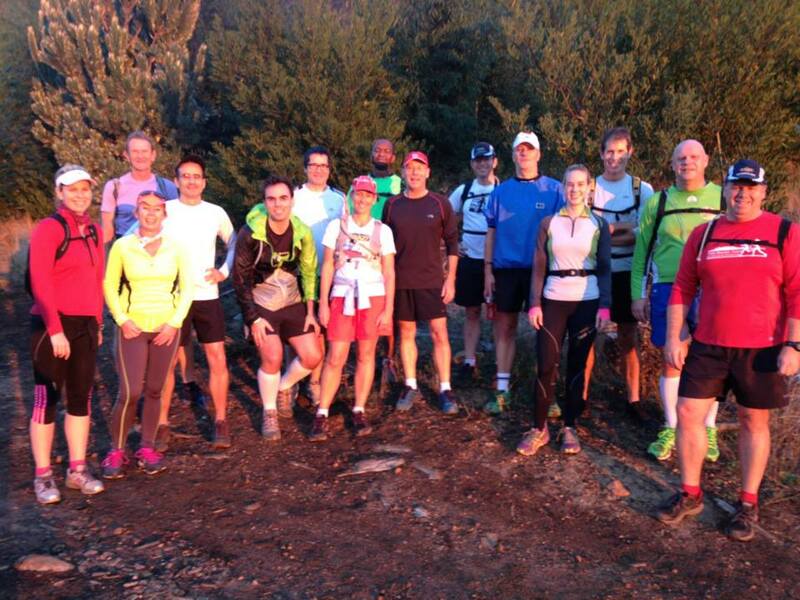 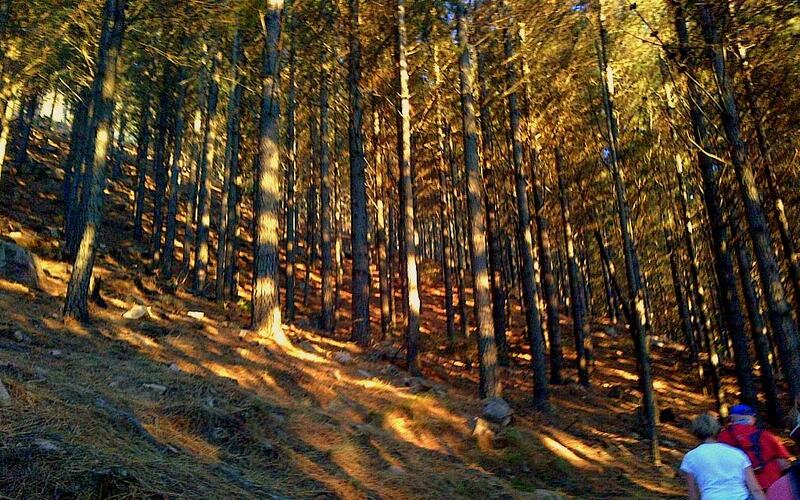 A wonderful morning on the trail. 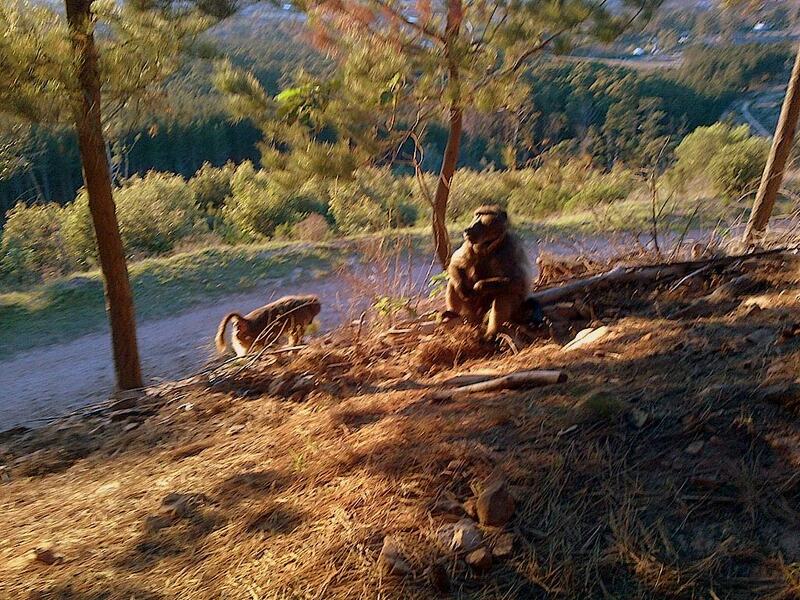 Fay Linder who led the walkers reports as follows:We had a splendid walk in amazing fynbos this morning. 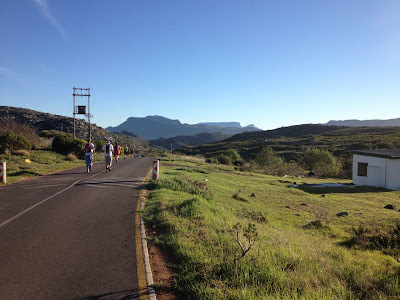 It should be "quiet time" for the flowers but the veld was full of Proteas, Ericas, Lobelias, carpets of Struthiolas and many others....and the weather was perfect!